It wasn't until the very last question of the night that Colin Hamley's voice began to falter, he paused, and tears began flow down his face. The 95-year-old former Thai-Burma Railway POW was sitting in front of a captivated audience, a walking stick leaning against the inside of his leg and a string of medals worn proudly on his chest, as he recounted his three-and-a-half years in Japanese captivity. The pictorial evidence of the atrocities he and 60,000 others suffered on the railway was on the walls all around him, captured in the artwork of fellow POW Jack Chalker and presented in Ryman Healthcare's 'Artist in Captivity' exhibition. The exhibition comprises more than 120 Chalker works, which Ryman digitised and reproduced with the support of Weary Dunlop's son, John Dunlop. Weary Dunlop was Chalker's commanding officer on the railway, and encouraged him to document the abuses the Japanese were inflicting on prisoners. The POWs, including around 13,000 Australians, were used as slave labour to build what became known as the 'Death Railway'. 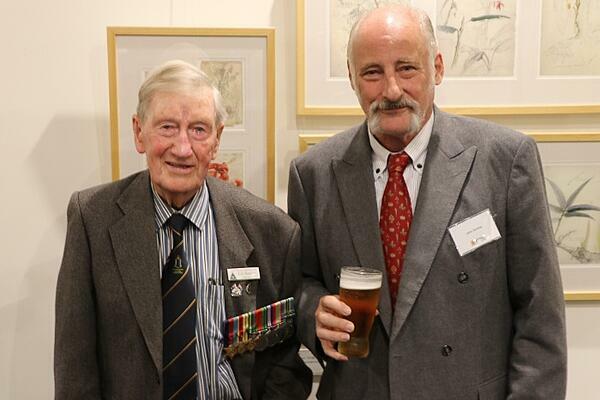 Colin is one of fewer than 70 Australian former railway POWs still alive. He and John Dunlop were the guests of honour at the launch of the exhibition at Caulfield RSL two days before Anzac Day. The exhibition was officially opened by John, before Colin participated in a Q&A with Ryman's corporate affairs manager David King. 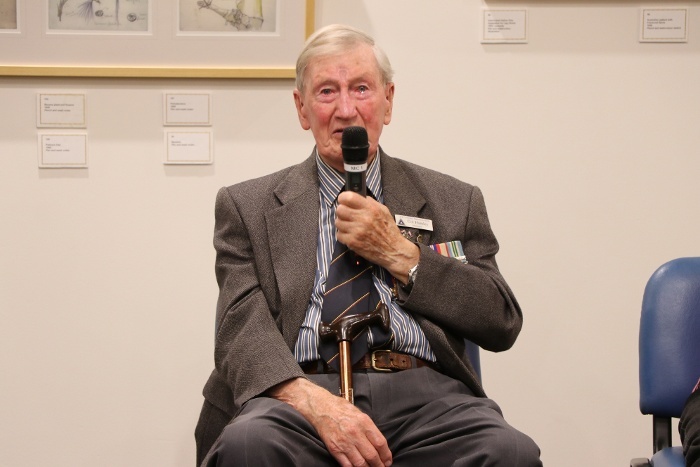 Invited guests, many of whom had a personal connection to Weary Dunlop or Jack Chalker, were in thrall as Colin recounted his war experiences in striking detail. A 17-year-old boy from Melbourne lies about his age to sign up, trains as a signaler, and is shipped out to the Middle East to serve in Palestine, Lebanon and Syria. He is redeployed to Java to defend the Dutch colony from the Japanese, but is taken prisoner. He and his fellow prisoners are put to work carving out the strategically-important railway line through virtually impenetrable terrain in appalling conditions. Given little food or medical supplies, men are struck down with malnutrition, malaria, dysentery, and tropical ulcers that rot flesh to the bone. More than 12,000 POWs die, 2700 Australians among them. Colin's older brother, Don, is one of those diggers lost forever on the railway. Colin tells the story with confidence and clarity, like a man who has told it a thousand times before. Like a man who has made peace with his past. But then that last question. "How did you feel when you were liberated?" "Fantastic!" he beams, to a loud round of applause. But then he continues. "When we got down to Singapore I went down to the cookhouse and, cap in hand, I asked the cook, 'Do you think I could have a slice of bread?'. Butter," he says, weeping. "Jam. Such a simple thing but I hadn't had anything like that for the last three and a half years. 'Jack Chalker - Artist in Captivity' is being held at Caulfield RSL until May 13. Entry is free.